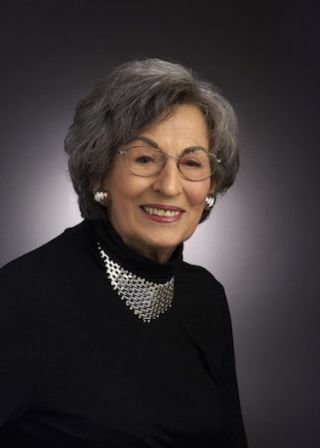 Today, Shure Incorporated announced the passing of their Chairman, Rose L. Shure. Mrs. Shure passed away peacefully at her home. For more than 60 years, Mrs. Shure served as an inspiration to Shure Associates, past and present. She was a role model of Shure’s core values and basic principles, created by her husband and company founder, Sidney N. Shure, that have guided the company. The welfare of Shure and its Associates was her highest priority and she was motivated by ideals of business integrity, respect, and fair treatment for all. She promoted a work environment that inspired creativity, fostered pride in making products of the highest quality, and encouraged Shure Associates to reach their personal potential. "The industry has lost a very unique individual in terms of her commitment to values and quality and to extending the legacy of the company," Mark Brunner, senior director, Global Brand Management, told SCN. "Shure will continue to extend the vision that the founders put in place and we're humbled and honored to take up that tradition." All communications, questions, cards, etc. may be directed to Mark Brunner, Shure Incorporated, 5800 W. Touhy Avenue, Niles, Illinois 60714-4608. Or contact Mark at 1-847-600-6480.